Tim is a Club Professional qualified coach with Tennis Australia and a United States Professional qualified Pro2 coach. Tim grew up learning tennis at the Greenvale Tennis Club and his first coach was Barry Davis. He is a highly motivated person who understands the positive influence tennis can have on a person’s life. Tim has travelled extensively to the US and overseas to bring back programs and ideas that make tennis all over the world so popular. Tim currently sits on the board of Tennis Coaches Victoria and is also a Hot Shots and Cardio Tennis Ambassador with Tennis Australia. His passion is to grow the game of tennis so people can experience the fun this great sport brings to people’s lives. 1n 2014 Tim won the prestigious Tennis Australia Award, The Newcombe Medal for Hot Shots Excellence (under 12) and in 2015 he won the equivalant award from Tennis Victoria. Lawrence began working with CTS at the beginning of 2006. He has completed his Professional Course with Tennis Australia and was recently named by Tennis Coaches Australia Victoria as the Rising Start Coach of the state for 2015. Lawrence is a full time coach with CTS and has many roles – he organizes Ladies Mornings and Men’s Nights with CTS. He also coaches many advanced and developing players – his understanding of the game and communication skills is what makes him an excellent and popular coach. Location: Greenvale and Hume Tennis and Community Centre. James is a former pupil with CTS and coaches at Greenvale and Craigieburn Tennis Clubs. James’s knowledge and communication skills mean he always provides excellent feedback for all players. James is a professional masseur and is now studying to be a Pre-School teacher. He has represented both Craigieburn and Greenvale T.C. in A Grade competition. James has completed a tennis course with the Australian Sports Commission and heads up many Hot Shots team lessons at both Greenvale and Craieburn T.C. Robert is also a former pupil of CTS and represented the GTC in A Grade junior competition. Robert is studying teaching at university and has a passion for teaching. 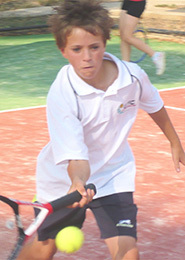 In September 2011 he will undertake the Junior Development coaching qualification with Tennis Australia. Robert works with all our Hot Shots Team lessons. Location: Greenvale and Craigieburn Tennis Clubs. 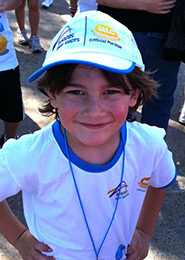 Nathan started learning tennis with CTS as a junior and has become an excellent player and tennis coach. Nathan has a goal to make tennis coaching his profession and will compete his Junior Development qualification with Tennis Australia in 2011. Nathan is a great role model for all junior tennis players. Nathan has incredible passion for the game and is often found to be hitting with many of our developing junior players. Nathan currently plays A Grade for GTC and is also a member of a Tennis Victoria pennant team. Jess is one of our female coaches who as with most of the coaches learnt tennis with CTS. Jess has an exuberant personality that endears her to all students. Jess played all of her junior tennis at Craigieburn T.C. she still represents the club in senior competition. Jess is a member of the Craigieburn T.C. committee and a junior manager of one of the junior teams. 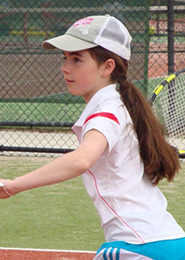 Melanie played junior tennis to a very high level representing both Craigieburn and Greenvale Tennis Clubs. Melanie spent many years training with CTS and her diligence to improve makes her an ideal role model for junior players. Melanie is studying teaching and has now established herself as a highly respected coach. CTS have a policy of using assistant/student coaches who have learnt their tennis with CTS. All coaches have had a minimum of five years learning/playing tennis with CTS and achieved an A Grade standard of play. Assistant coaches possess high-energy personalities and excellent communication skills. The coaches understand CTS philosophies towards coaching because they have grown up playing with these philosophies. Coaches are extremely personable and assist in our Hot Shot Team lessons and Hot Shot Competitions. If you are interested to becoming a student coach – please speak to one of the senior members of the coaching staff. Braden is our extraverted and most experienced assistant coach who not only is an exceptional tennis player but a great musician. Braden is one of our most experienced student coaches as well as our most popular. He has a way with a child that encourages them to learn. Braden’s family is also highly involved with the tennis club – his father Glen is the current President of GTC, his mother Lyn is always helping out in the canteen and two brothers (Matt and Kristian) play at the club. Ben has been coaching with CTS since 2009 and has a great understanding of the game of tennis and CTS approach to coaching. He is a very positive person who is also very popular with Hot Shots players. Jess is a highly accomplished tennis player and is currently part of the GTC A Special team. Jess completed her work experience with CTS and now has a devoted following at her lesson on a Wednesday night. Jess has an ambition to work in the sports industry – so hopefully she chooses tennis coaching. Coaching Days: Wednesday – Craigieburn Tennis Club. Ben spent 2010 with CTS as part of his Year 12 qualification. Ben assisted in administrative work and on-court coaching. He played A Grade at CTC and up until last year represented the club in senior competition. Ben is currently studying computers at university and continues to coach at CTC. 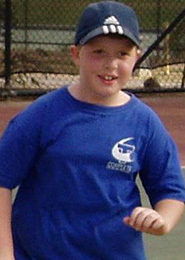 Daniel is currently completing a sports degree with SEDA in tennis coaching. Dan has a desire to become a tennis coach and is putting many steps in place to achieve this goal. Dan represented the Craigieburn T.C. in juniors and now plays competition on Wednesday and Thursday nights for the club. Luke began coaching with CTS at the start of 2011 once he began his university degree. Luke like all the other coaches has played and represented GTC in A Grade juniors. Luke is the older brother of two siblings and has the perfect nature to teach players. Luke also understands the importance of creating a tennis culture at lessons, as his father was the President of GTC for a few years. Rueben began learning tennis with CTS form the age of 7 years and developed into a respected member of the GTC A Grade junior teams. Rueben is currently studying at Aitken College and helps out with the Hot Shot Comp on Friday nights.